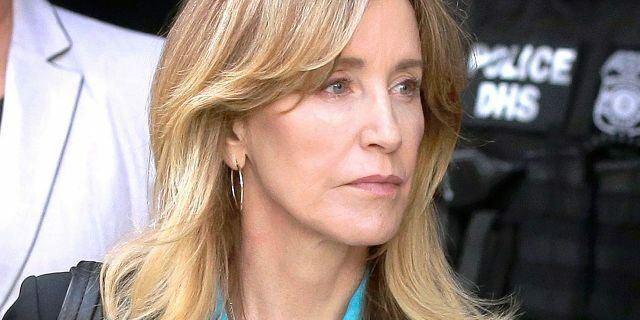 Felicity Huffman&apos;s "Desperate Housewives" co-star, Dana Delaney, is sharing how she feels about the college admissions scandal that has ensnared Huffman and dozens of other wealthy parents trying to get their kids into the nation&apos;s most prestigious colleges. Following the 56-year-old actress&apos; announcement earlier this week that she plans to plead guilty, Delaney commended Huffman for her statement. On Monday, Huffman said that she accepts "full responsibility" for her actions. She is accused of paying $15,000 disguised as a tax-deductible charitable donation so her daughter could take part in an apparently rigged college entrance exam. "I am pleading guilty to the charge brought against me by the United States Attorney&apos;s Office," the actress said in a statement obtained by Fox News.